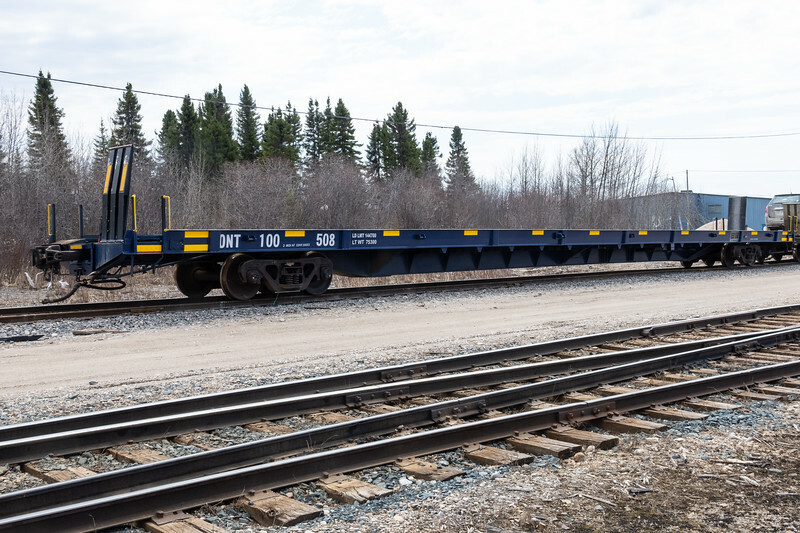 Pictures from the arrival of the Polar Bear Express mixed train in Moosonee 2018 May 21st. Flatcar ONT 100508 for carrying vehicles on the Polar Bear Express. Chain car with no chains.